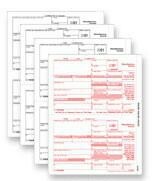 1099-OID 1 is accounting & finance software developed by 1099FIRE.com. Automates preparation and printing of 1099-OID. Detach and insert Copy A of an IRS form into your printer and the software will print your data on top of the IRS form. You can adjust the left and top margins so that the data prints perfectly on the form every time. Copy B and Copy C can be printed on letter size paper. Visit us on the web at www.1099FIRE.com for more information. business software is demo, which means you can download and use this limited edition of 1099-OID 1 for free. To use full version of 1099-OID 1 you have to buy the accounting & finance product for $49.95. 1099-OID 1 is available at regnow and 1099FIRE.com website. 1099-OID 1 supports different languages (including English). It works with Windows 98/XP/Vista. We have tested 1099-OID 1 for spyware and adware modules. The software is absolutely safe to install. We has completely tested accounting & finance software 1099-OID 1 many times, written and published the interesting article and uploaded installation file (817K) to our fast server. Downloading 1099-OID 1 will take several seconds if you use fast ADSL connection.